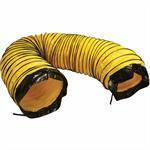 High Static Pressure, low dB noise level and is capable of up to 100ft of total duct length. 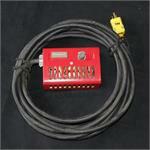 applications where portability, durability and reliable operation are necessary.! *(No. 1 fuel oil, Diesel, JP8, Kerosene Fuel is recommended when ambient temperature is less than 8 F (-10 C) Discharge temperature (@50 F ambient).